In between journalism coursework at UC Berkeley, I applied some of my new-found writing, html coding, and video editing chops to create content about video games online. It was strictly a passion project and I didn’t see it going anywhere. I firmly believed that I’d end up in TV journalism and work on news magazine shows or documentary filmmaking. But the readership of my little website just kept on going up. It was then that I realized that my hobby and my job shouldn’t be two separate things. Tell us about IGN. What inspired the idea and what is your vision for the company? IGN was the brain child of many smart people at print publisher Imagine Media. Under Chris Anderson’s (http://en.wikipedia.org/wiki/Chris_Anderson_(entrepreneur)) direction, the company had started to publish websites around some of its magazine brands. I joined as an editor, took on a leadership role as Editor-in-Chief, and helped launch IGN as a destination. We then spun out the company as a standalone web business under the name Snowball and later rebranded it as IGN Entertainment. We have stayed true to our original vision in that a business centered around premium content and a strong editorial voice can inspire tremendous passion, both from our visitors and from advertisers. We have built upon that core belief and evolved our company tremendously over the years. What strategic partnerships have you implemented that have attributed to IGN's success? The emergence of social media and new platforms made a huge impact on IGN. We realized early on that our success would depend on embracing social and video platforms and new devices. We left the concept of being “just a website” behind and focused on creating better infrastructure and processes that would let us take our content and put it wherever games and entertainment fans are. We cautiously syndicated video content to YouTube in 2008 – now, 3.6 Billion views later, we’re the 12th most-watched channel on all of YouTube. And video views on our own platforms have continued to grow at an equal clip. You can now watch IGN content via native applications on iOS, Android, Roku, Xbox, and PlayStation, with more to come. At the same time, we have created a way for advertisers to reach our fans across all these platforms and implemented new sponsorship opportunities, from TV-style integrations to smart targeting. But the most important partnership we continue to refine is with our audience. As an editorial outlet, we must inspire a high level of trust. That’s only possible by putting the good of our audience first, and by constantly improving our editorial processes and support structure. Fans who trust you will support and evangelize your business in ways we couldn’t possibly accomplish all by ourselves. There’s been a lot of discussion about the democratization of media and whether there is a “there” there for editorial and news media sites. At the same time, just as we’ve seen a shift from print media to online media across many beats, there is a bigger demand for video over text. Between the 100k+ videos we’re already providing as VOD and the weekly live programming we run, we’re in good shape when it comes to video growth. But it’d be a mistake to pretend that the written word is becoming obsolete any time soon, that all ads will be video preroll, or that all news or opinion content will be user-gen. There’s a tremendous opportunity in exploring the intersection between editorial and user-gen; not to mention in learning from the emerging platforms and how to reach new audiences. If all we did was keep on running IGN as a destination for reviews or, say, a provider of audio podcasts, we would not have seen continued growth over the years. We benefit from being able to see and play games early, from watching movies or TV shows before they’re out, and from having access to developers and studios that can provide a behind-the-scenes look at things. At the same time, we also know that editorial voice is incredibly important. We want to be a place where you find personalities that are genuine, entertaining, knowledgeable, and approachable. To that end, we firmly believe in interacting with our audience; answering questions, being open to feedback and challenges, and interacting via social media. The results are highly visible: millions of comments on our articles and videos and an active forum community going on 15 years. Another big push for us – and example of how we’re reacting to how the market is changing – is our worldwide expansion. 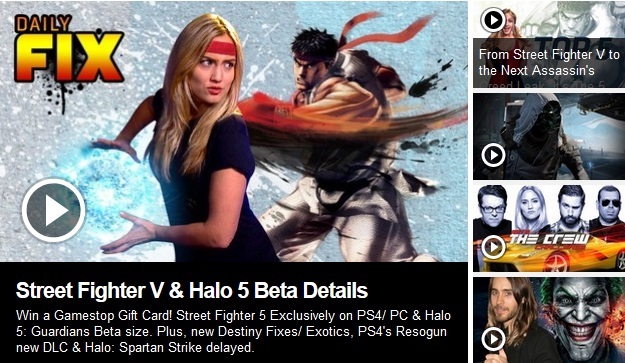 IGN is now available in 21 editions and 16 different languages. We recently launched the IGN brand in Greece, Portugal, Israel and Latin America, and we’ve got more local language editions coming up very soon! Your greatest success as founder of IGN? Most difficult moment-how did you overcome and what did you learn? It’s amazing to see what IGN has become over the years. We started as a loose collection of sites at a print publisher -- and transformed it into a multi-language, multi-screen, multi-platform, 24-hour news and entertainment network. That’s awesome. Most difficult moment? The dotcom crash. When the ad market dried up, we had to scale back significantly to weather the storm. Much credit goes to our financial leadership at the time, but we all pulled together and worked long hours to make sure we continued to present the best content we could. It’s great to see that some of then radical and risky steps we took, like launching a subscription network, are still part of our brand today. Don’t chase vanity metrics. Figure out how to measure your success and set your goals accordingly. Kyoto, Japan. It’s the most amazing city on Earth. No other drinks left on the planet? Water, of course! I can’t imagine that Bordeaux would go well with the zombie apocalypse. As for food, I’d have to go with my German roots and go for “Himmel un Ääd” – that’s fried blood sausage, mashed potato and apple sauce. Yep. Don’t knock it until you’ve tried it. Right now, I’m re-reading 20,000 Leagues Under the Sea by Jules Verne. My favorite publisher, Folio, issued a new translation this year. Video games. Books. Sci-fi. Cooking. If it was possible, all at the same time. The Rosetta mission. Mankind landing a probe on a comet 317 million miles away was a truly inspiring feat.